If you haven’t heard me screaming about this book, let me tell you something about The Weigh of Our Sky. It’s AMAZING. There, I said it. I had a wonderful time reading and this is the closest I’ve felt to my Indonesian heritage being represented on the page, and this book means so much to me and I hope you all will love it as much as I did. The Southeast Asian blog tour is going on now which is so exciting and my review is going up on my blog this weekend and I’m just so excited to shout all about this book. 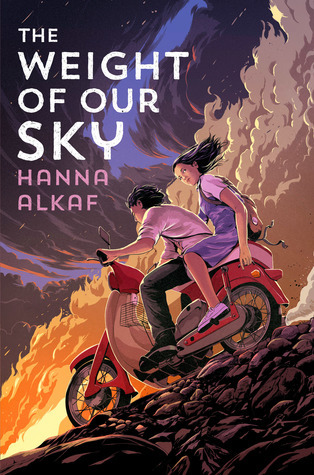 But today I have Hanna on the blog talking about The Weight of Our Sky and so I hope you enjoy hearing about this amazing book from her directly! Without further ado, please enjoy! 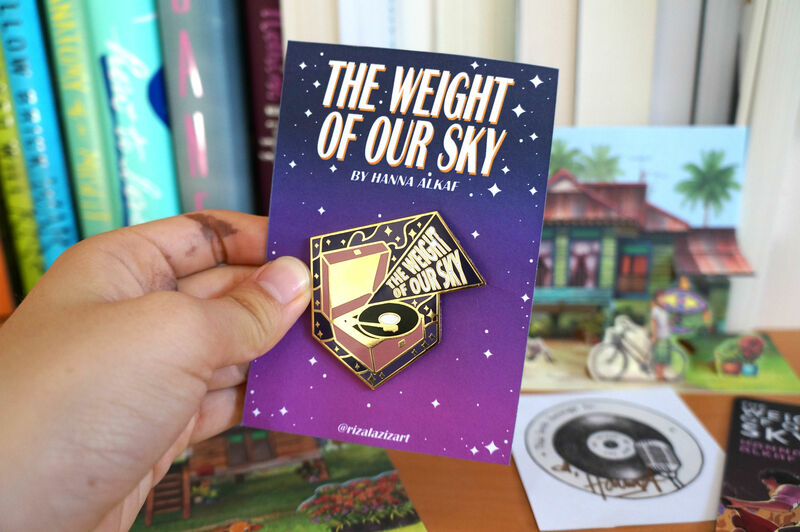 I’ve been absolutely obsessed with The Weight of Our Sky ever since I’ve heard about it, as we very rarely get Southeast Asian (SEA) narratives in traditional YA publishing. In what ways do you hope your debut will influence publishing and help pave the way for more SEA stories? When I finished writing The Weight of Our Sky, I made myself a promise that I would never compromise on its Malaysianness; that I would remember why I wrote the story and who I wrote it for and not waver for the sake of getting a book deal. And I’ve stuck to that, as best as I could, throughout this whole process. What I hope that does (and maybe it’s asking too much, but I’ve made it this far with “too big” dreams, right?) is show the industry that there are voices in Southeast Asia worth listening to, stories worth amplifying, so much talent just waiting to be unearthed and discovered. Melati sounds like such a strong main character, especially as she combats her own prejudices–what do you feel is the greatest lesson she learns throughout The Weight of Our Sky? I think the biggest thing Melati learns is to trust – to open herself up to relationships beyond her small circle of comfort, to trust others to take care of her, and hardest of all, to trust in herself and her own ability to overcome her inner and outer demons. I know a lot about some of the Indonesian race riots in the 1900s from my family and their experiences in Indonesia during the time period, but for American readers who are unfamiliar with the time period, there sometimes exists a subconscious lack of desire to read narratives that don’t fit in with their own. In what ways do you think The Weight of Our Sky is relatable for people of any background? I struggled with this a lot during the different stages of the publishing process, wondering if I’d written a story that was far too niche, worrying that nobody was going to “get” it, berating myself for not writing something easier to accept as a first novel. Then as I was working through edits, Charlottesville happened, and I realized how many of the lines I had written could be taken and applied perfectly right then and there, 48 years later. The unfortunate truth is that in the world we currently live in, a tale of race-based violence, mental illness and having to depend on the kindness of strangers isn’t something you automatically classify as “historical fiction.” It’s our everyday, all over the world. I’ve talked about this before with regards to bloggers, but there’s a huge US-centric (and US/AUS/UK-centric) privilege that is present in the publishing community. How does this affect you as an international author in US publishing? I was never referred to as a person of colour until my book was bought by a US publisher. Until then, I’d lived almost all my life as the majority and, in many cases, the privileged, as an urban Malay person in Malaysia. Capturing the nuances was and is a lot of work for me – understanding the diverse books and the Black, Latinx and Asian authors who paved the way for someone like me to be here, but also understanding the benefits and issues of the #OwnVoices movement, the conversations around representation in the US context, the interactions between creators and audiences. This whole year leading up to publication has been a huge learning process, and it’s helped me more critically engage with these issues as they pertain to Malaysia and its literary landscape as well. There are times I’ve had to stand my ground when it comes to the way I tell my stories versus the way some publishing professionals may feel those stories need to be told. I’ve been blessed with a very supportive editor and agent, but at various points in the process I’ve had to dig in and defend my stance: Yes, I mean for this bit of dialogue to be written this way so as to mirror the natural cadences of Malaysian speech; no, I will not italicize non-English words in the text; yes, I expect readers to be smart enough to understand what this means from context; no, I will not change “Ford Anglia” to “Ford” to make it easier for Americans to understand. It’s a car. They’ll get it. Some things are achingly, consumingly big: Worrying constantly that I’m missing out on giving my book the best chance it can possibly get, that I’m falling behind by not being in the US to do those in-person events, attend those conferences, shake hands with the right people and be on the right panels. And most of all, I worry about this book and all it represents to the people it was written for; I worry that I’ve messed up in telling this story, that I will let my people down. When there are so few of you, your voice must stand in for all of you, and that is a terrifying privilege to bear. Lastly–something fun! If you could spend a day with Melati in any place and time, where would you go and what would you both do? We’d time travel back to 1963, to the Beatles’ very last show at The Cavern Club in Liverpool, a venue where they played a total of 292 gigs and where they were first spotted by their manager, Brian Epstein. 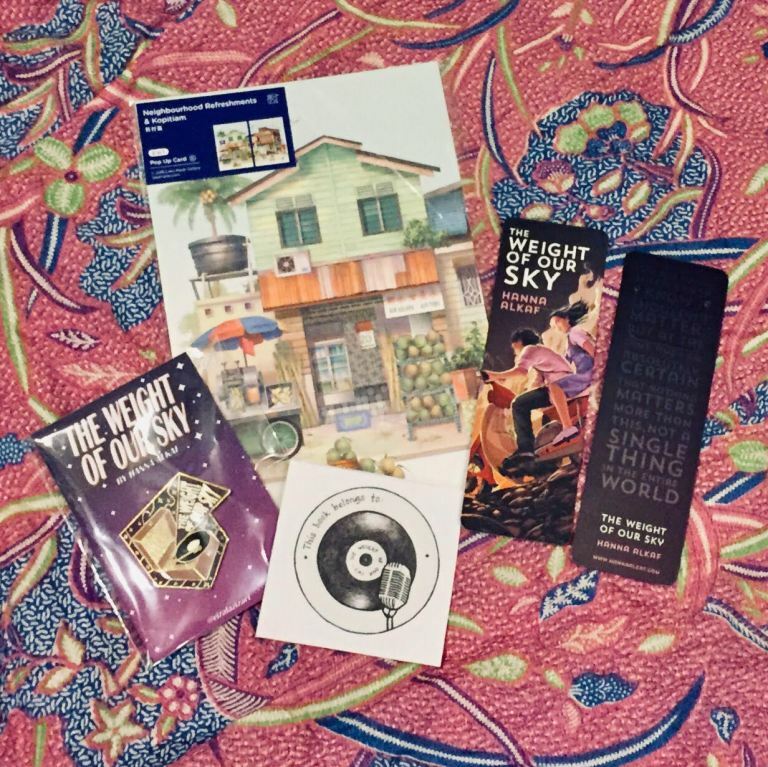 That last performance took place on August 3rd, about a month after they recorded “She Loves You” — which is the song that plays in the record store near Petaling Street where Melati and her best friend Safiyah hang out in the book! I’d love to see the look on Melati’s face as she sees her favourite band, including her beloved Paul McCartney, and hears the soundtrack of her life played live. The number of crying emojis in that response is really accurate, not gonna lie. This book is so emotional and if you don’t have it on your TBR–do you have a soul? Did you really make it through this interview without adding it to your TR? I don’t think so. I love it so much, and Hanna’s responses are so true and I was extremely moved by this whole book and how Hanna is showing the world that SEA creators are amazing and valid and deserve space in this community. Hanna Alkaf graduated with a degree in journalism from Northwestern University and spent over ten years writing everything from B2B marketing emails to investigative feature articles, from non-profit press releases to corporate brochures. She now spends her time making it up as she goes along, both as an author of fiction and as a mom. Hanna lives in Kuala Lumpur with her family. THE WEIGHT OF OUR SKY is her first novel. 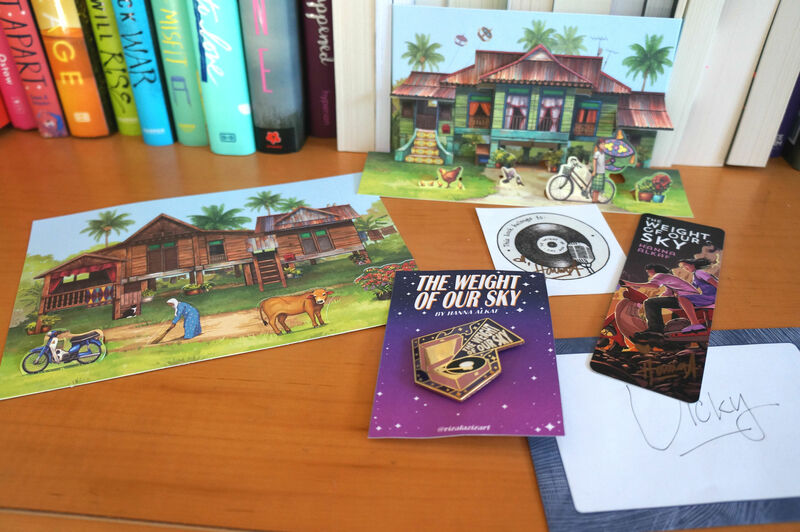 There are a lot of awesome prizes you can get for preordering The Weight of Our Sky, so please totally take a peep below because ALL the gorgeous swag (and there’s A Lot of it) is part of this campaign for a wonderful book! SO MUCH AWESOME SWAG, Y’ALL. This giveaway is open internationally and you can enter through the Rafflecopter button below! Good luck! Are you excited to cry your heart out because of this book? ‹ PreviousIf You Liked #12: Mental Health Awareness Edition! What a lovely, insightful interview!! I’m nervous about those crying emojis 😂 I live in Liverpool so it was exciting to see Hanna reference that! Can’t wait for this book!! aww, omg thank you! and those crying emojis are way too real. I’m so excited for this book!! Amazing interview (as always! ), Vicky!!! I have never really followed anything to do with publishing so I learned that publishers apparently think readers are stupid. I’m sorry that Hanna had to fight for things like saying Ford Anglia. yeah, it’s really disappointing but I’m thankful for Hanna’s hard work in getting the rep to be on the page! I loved this interview! I am so excited to read The Weight of Our Sky, it sounds amazing! I hope it gets published in the UK! It’s quite sad how Hannah had to put her foot down so many times to keep the book authentically Malaysian. I just wouldn’t have thought she’d have to. But props to her for doing so. And also for those late nights/early mornings to take part in online chats etc, to promote. oh, thank you SO much! and me too–another cover edition would also be AHHHH. yeah, it’s disappointing how it had to happen but i’m really glad that Hanna did do it to let readers see that in books. she is amazing I am always in awe of her!!! thank you, Marie! and i’m so glad you liked the interview (and maybe the INTL advice can come in handy in YOUR future…..) of course! This book has been on my TBR since the first time you talked about it and I can’t wait to read it! 😍 I loved this review and it was a great insight on an International author’s struggles. Thank you, Vicky, for hosting the review. I’m super excited to read this! yes!!!! I hope you get the chance to read and love it! omg thank you SO much!!! I hope you enjoy, and of course! THANK YOU, DEZZY!!! and yes–YAY for intersectionality! What a lovely interview! Hearing about her struggles as an international author made me reflect so much. There are a lot of pros and cons to it, but I admire how much she defended her own stance in a few matters. That certainly demands a lot of strength! I’d also love to travel with her back to 1963 and watch Beatles’ for their last show at The Cavern Club, lol. My 60s obsession is real and it shows, hahah. I’m so excited for this book, and am looking forward to the amplification of SE Asian voices! This was such an incredible interview, Vicky! Thank you so much Hanna for sharing your insights and thoughts, and I cannot wait to read your debut! I am so so excited for this!! great review! ahhhh tucker I hope you get to read! and thank you! I’m so excited to read this! I love what Hanna sways about being a non-US based author and what it means because it’s a fear I have too, sometimes, but then I remember I’ve never completed a MS so I’m good for now. Also Hanna is a sweetheart and I’m hoping I get a chance to meet her (especially because her writing Starbucks is in the mall next to my house! ), so thank you for this Vicky! 100% agree. non-US authors have it really hard, and I’m always in awe of the way their perseverance. and OMG YOU GET TO MEET HANNA AHHH I AM SO JEALOUS THAT IS AWESOME!! !